If you need an after hours key drop box, locking drop box, night drop box or mail drop box our locking drop box selection is large and unique. And if you don't see what you need, we will work with you to find a cost effective solution. 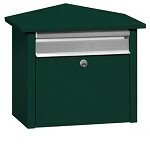 Our Security Drop Boxes are extremely rugged key drop boxes built by Perma Vault. If you do not find a security drop box for your application, give us a call at (831) 295 8460 and we will help you find the best solution.